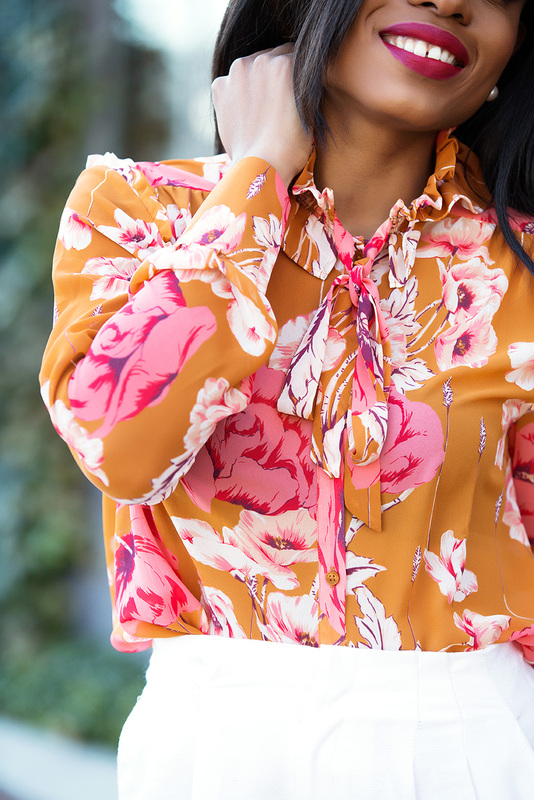 The spring like weather is still influencing my looks and this floral blouse that I got during Ann Taylor’s sale is just perfect. 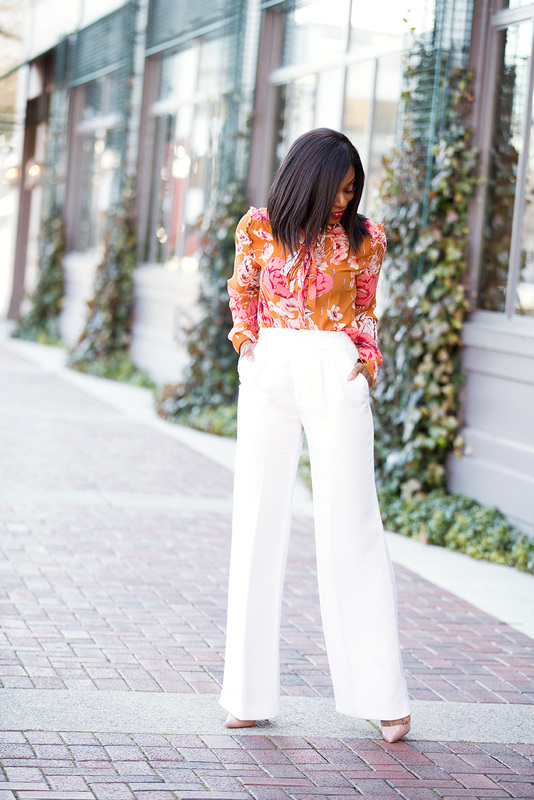 My plan was to style it for a casual work day but I opted for the white wide leg pants for today’s post. 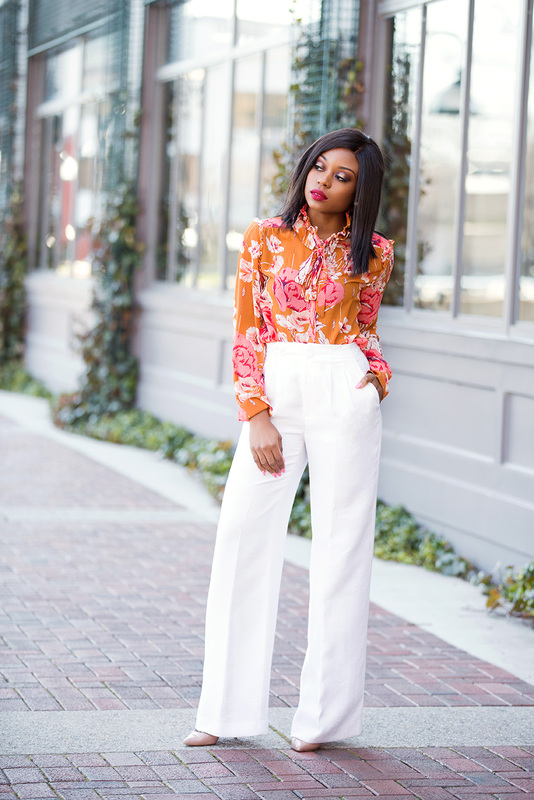 The pants make the shirt stand out while adding a clean chic feel to the whole ensemble. 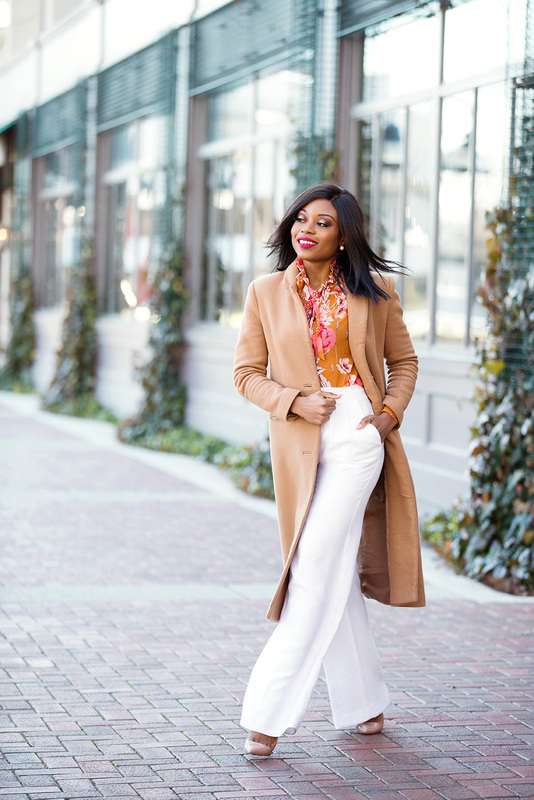 I paired with a brown/camel colored coat to complement the color of the blouse...perfect for spring! 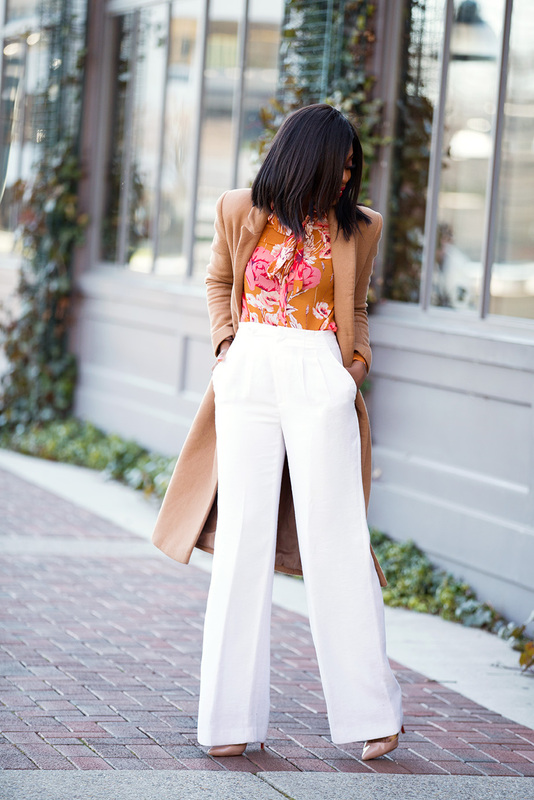 The white trousers definitely make the trousers pop! 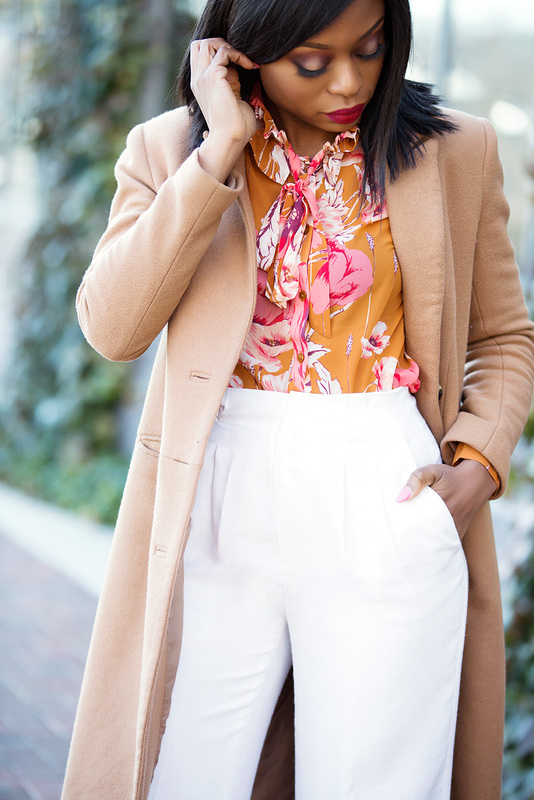 Love your workstyle inspiration and styling with the shirt. 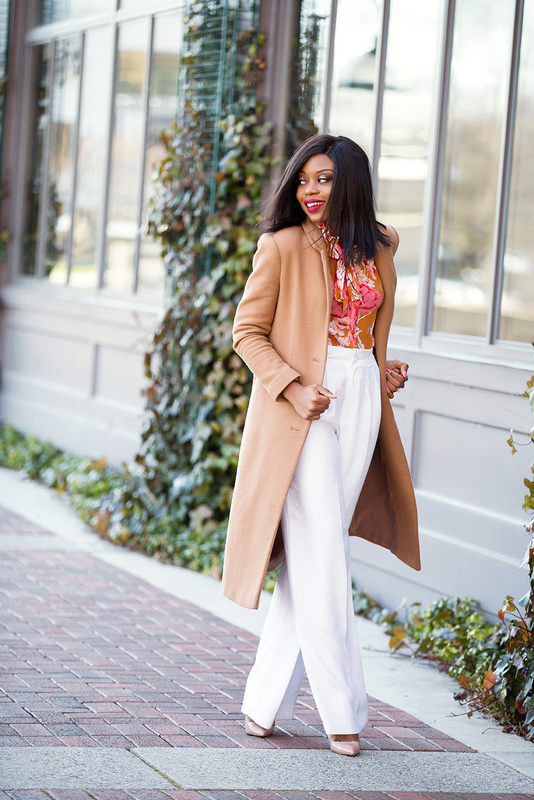 The coat is an awesome addition as well. 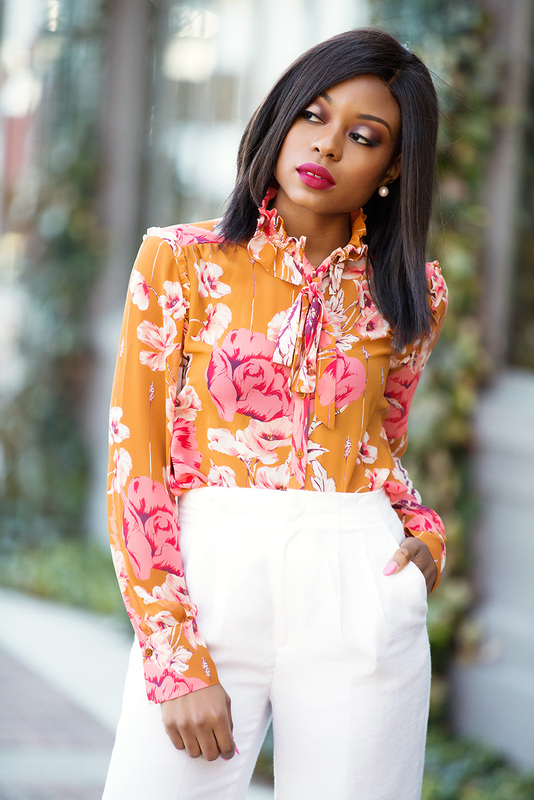 got me in the mood for Spring!